Our 2019 full schedule of trips (7 days a week) commences on 1st April and will run to the end of October. Hopefully some trips will also be available from late March. We run 7 days a week during the main season. 1) Click the link then choose your trip from the drop-down menu. Telephone booking You can book by calling us on 0800 731 3089 or (+44) 01471 866244 from 7.30am onwards each day. Call us on 0800 731 3089 or (+44) 01471 866244 from 7.30am onwards each day (please have your credit card details ready). 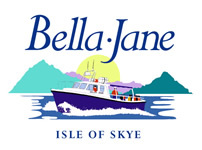 Weddings at Loch Coruisk (on the Bella Jane and Island Cruiser) - see Weddings page. 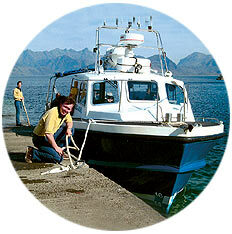 Take a special cruise to Loch Coruisk or the Small Isles for an unforgettable and unique location for your highland wedding! Charter trips for small parties or larger groups are available as well as our regular scheduled tours. Just contact us by phone (01471 866244) or email to get full details of our unique offer - including all-weather canopies on our boats and unrivalled facilities and comfort aboard. Island Cruiser - your own personal wedding charter.